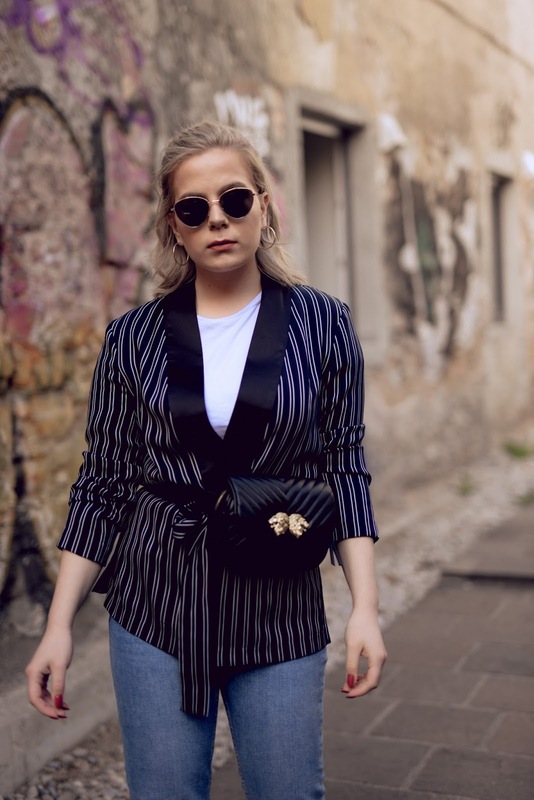 THE BELT BAG // HOW TO WEAR IT? The Fanny Pack is back. This time around we are labelling it as a belt or waist bag. It's a reinvented look of a 90s trend and so many people are jumping on board with this trend. 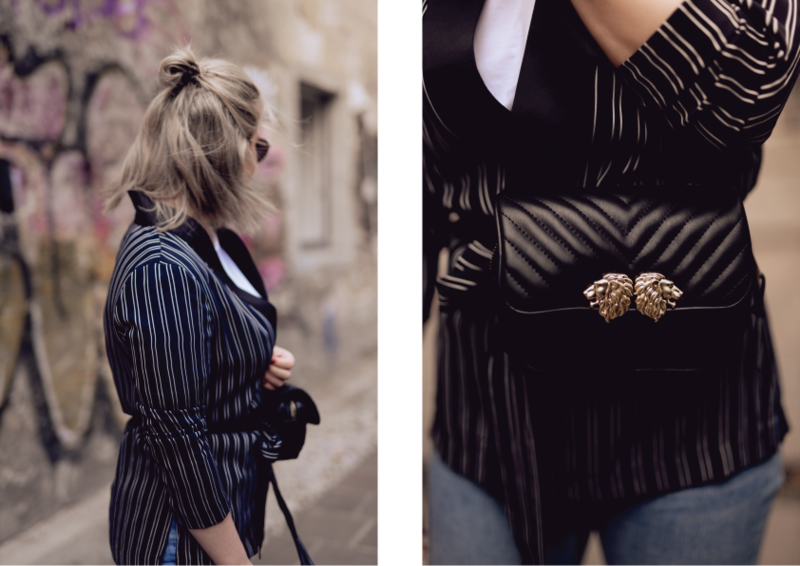 My Instagram has been flooded with pictures of different versions of this bag - they really intrigued me to go have a look in Zara and as you may have figured out already, I couldn't resist buying one for myself. 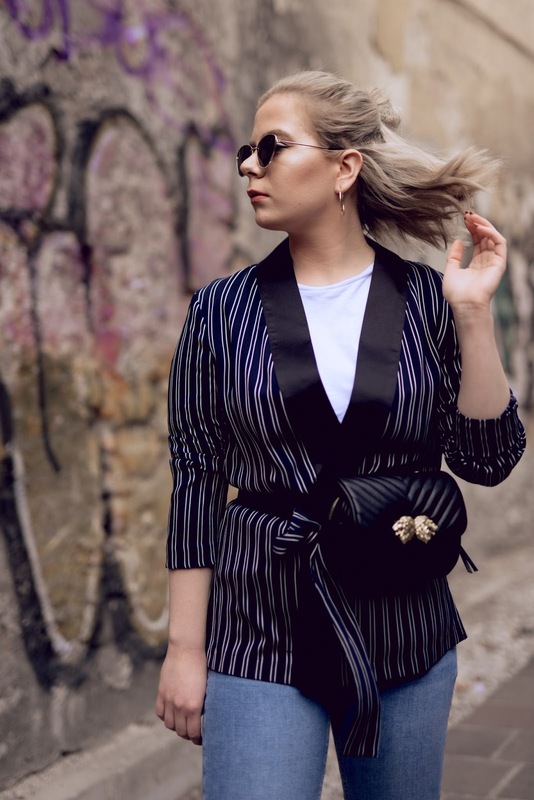 At first I thought this will be a tricky bag to style, but when I searched through my closet, this lovely blue and white striped blazer from Zara jumped right out from the rest of the selection. I haven't worn it in quite a while because it was to cold to wear it on its own and while it's layered it just doesn't do justice to an outfit. Now it finally got the time to shine. Blazers and office-wear in general have been around since last fall and they won't be going anywhere anytime soon. Matching blazers and pants, in different vibrant or pastel colours, has been another big trend at the moment which I might try out next. 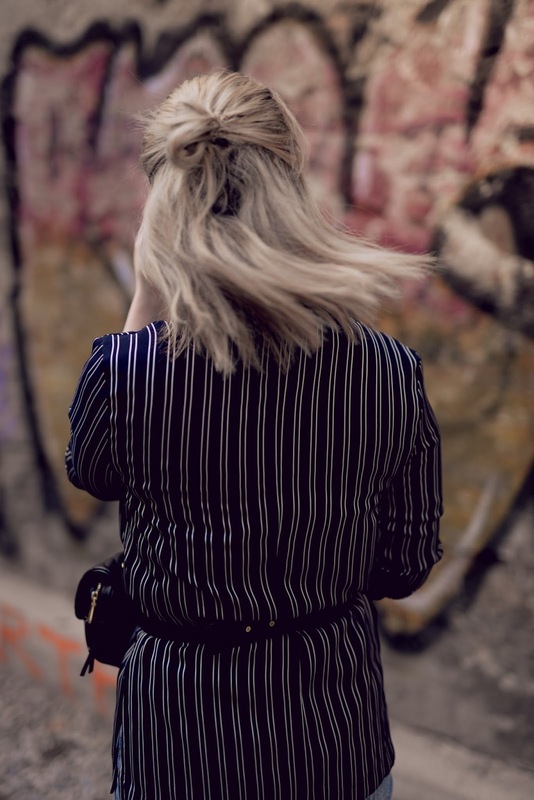 This bag looks great belted around your waist because it optically cinches you in right at the waist - great trick if you're box-shaped like me. It can also be worn as a belt with jeans or more smart trousers. Another great way to style it is over a coat or an oversized jacket. 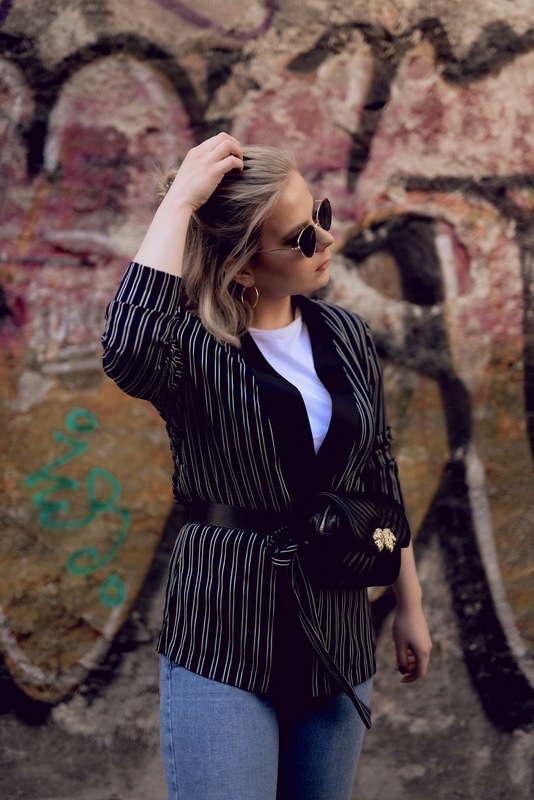 For the rest of the outfit I decided to keep it quite casual so I paired the bag with a simple white tee from H&M, mom lightwash Topshop jeans, Primark sunnies + hoop earrings and a pair of loafers from River Island. I love how carefree this bag makes me feel. Even though this bag might be a trend for only a season or two, and we may look back at it laughing at our bad choices, I don't really care about all of that. Fashion should be fun and experimental and this bag definitely proves that. What are your thoughts about this bag? Let me know in the comments below. 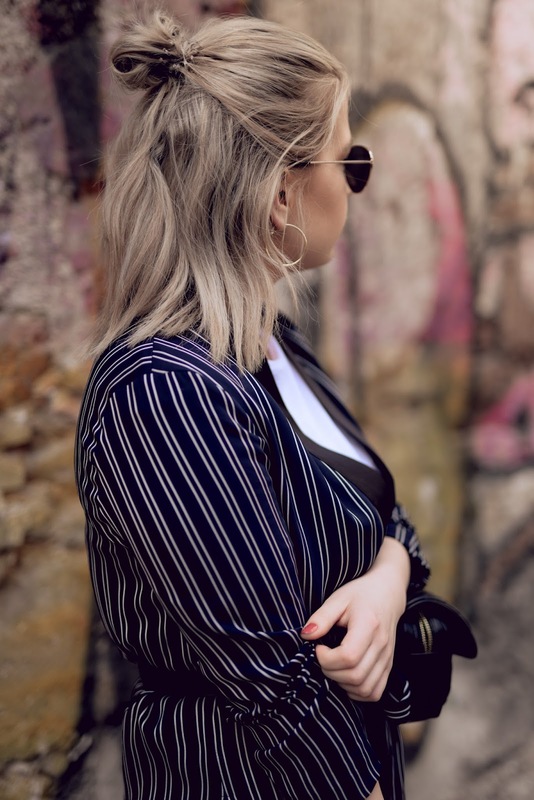 wearing: Zara white&blue striped blazer, Zara belt bag, H&M white t-shirt, Topshop mom jeans, Primark earrings and sunglasses, River Island loafers.